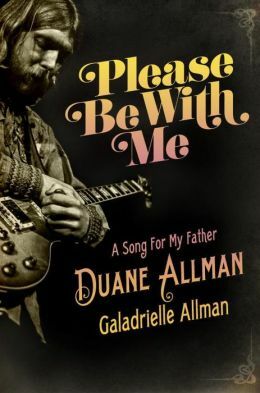 Please Be With Me: A Song for My Father Duane Allman authored by his daughter Galadrielle is a daughter’s homage to the father she never really knew. Duane died when Galadrielle was one year old. Unlike the illiterate and inane My Cross to Bear, Gregg Allman’s autobiography, this book is well written. Rather than concentrating on the drugs and women that Gregg chose to dwell on, Galadrielle chose to honor her father by talking about his devotion to music, his growth as a musician and both those musicians who influenced him as well as those he influenced. The list of musicians that he played with daunting: Aretha Franklin, Boz Scaggs, Eric Clapton, King Curtis and more. And any Allman Brothers/Duane fan will readily extol the virtues of his music, from the amazing Layla to the extraordinary Loan Me a Dime (one of my personal favorites) with Boz Scaggs. It would have been nice to see how he would have developed musically if he had lived. Galadrielle does not gloss over the drugs and women because they had major impacts on the band and their families. But on the other hand, it was not her focus. While you can see that Galadrielle idolized her dad, Please Be With Me is a pretty even-handed biography and one worth reading. Next on the list, I guess, is One Way Out: The Inside History of the Allman Brothers Band by Alan Paul. That should complete my Allman Brothers Band reading list.